What is the Tomorrow Fund? The Tomorrow Fund was founded in 1985 to ease the traumatic financial and emotional stress of childhood cancer. Our founders – a group that included medical personnel and parents of children with cancer–recognized that, in addition to the very best medical care, children with cancer and their families need financial and emotional assistance to cope with the overwhelming challenges of this insidious disease. At the time of our founding, children with cancer at Rhode Island Hospital shared space with adult oncology patients. The dream of having a local oncology clinic dedicated solely to the treatment of children became a reality with the opening of The Tomorrow Fund Clinic at Hasbro Children’s Hospital in 1995. The Clinic is widely recognized for its outstanding medical treatment and its compassionate approach to children and their families. 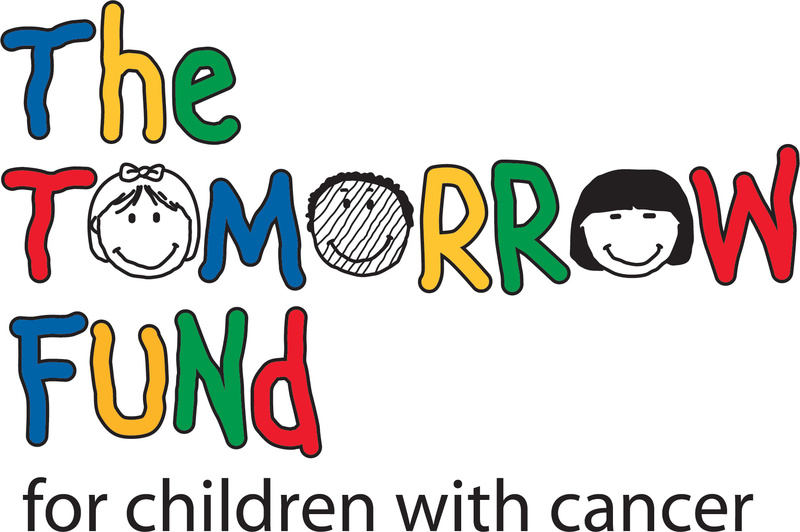 The Tomorrow Fund provides daily financial and emotional support to children with cancer and their families. Kids treated in the Pediatric Oncology Program and The Tomorrow Fund Clinic at Hasbro Children’s Hospital in Providence, Rhode Island receive our support. These vital programs are made available to our patients and families from the time of diagnosis, throughout treatment, into recovery and beyond. We rely solely on contributions to fund our programs. The Tomorrow Fund is an independent 501(c)(3) nonprofit that does not receive funding from Lifespan or Hasbro Children’s Hospital. The Tomorrow Fund Clinic is a state-of-the-art medical facility recognized for the high quality of its medical services and noted for its compassionate commitment to children and their families. Through the support of The Tomorrow Fund, a team of pediatric oncology experts, including Physicians, Nurses, Clinical Social Workers, a Child Life Specialist, an Interpreter and a Parent Consultant, provide comprehensive programs and services to meet both the medical and psychosocial needs of children and families. from one protocol to the next and from active treatment to survivorship. Transition happens every day and yet, we are not always prepared for the next step. Throughout all of these transitions, The Tomorrow Fund continuously provides education and programs to support the child and the family. Families of children with cancer often incur enormous financial burdens. The loss of income, the costs of meals, babysitting and transportation to the hospital often break family budgets while their child is facing a life threatening illness. We anticipate the needs of our families, providing the resources and programs that bring a degree of normalcy to life in the midst of a battle for life itself. Family financial support may cover household expenses such as rent, mortgage, utility payments, medical bills and other essentials. The Tomorrow Fund provides paid parking passes for families for the duration of their child's treatment. The Tomorrow Fund provides daily monetary stipends (allowances) for all children who are admitted to Hasbro Children's Hospital overnight as well as travel stipends (allowances) for patients traveling out of state for bone marrow transplant or medical treatment not available in Rhode Island. Cancer Awareness Month at the Rhode Island State House. When a child is diagnosed with cancer, it impacts not only the child, but also their family and community. Speakers from The Tomorrow Fund provide presentations and educational seminars for parents, siblings, schools and civic organizations regarding childhood cancer. Additionally, our "Kids for Kids" program invites schools and youth organizations to join us in raising awareness to help children with cancer. The Tomorrow Fund supports patients beyond their cancer diagnosis and treatment. Surviving cancer impacts a person's social, emotional and physical well-being. Cancer survivors are often faced with issues related to their treatments years after treatment has ended. Cardiac issues, memory and processing issues, organ damage, bone loss and fertility challenges are but a few of the many common long term effects that can be both costly and emotionally draining. Fund to help families with burial related expenses during this very difficult time. The Tomorrow Fund sponsors a bereavement aftercare program that is facilitated by Clinical Social Workers and includes a monthly support group for bereaved parents.